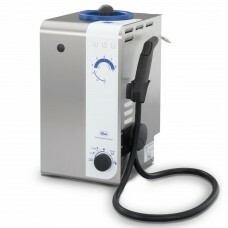 Elma Steam 4.5 Med The Elmasteam 4.5 med is the powerful combination of pressure, speed and temperature, microscopic vapour particles penetrate even hard-to-reach gaps, cavities and tiny depressions to thoroughly dissolve contaminants such as blood, grease and tissue residues. 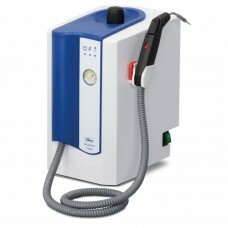 No chem..
Elma Steam 8 Basic The compact Elmasteam 8 basic with 8 bar steam pressure is the ideal steam cleaning machine for smooth and environmentally friendly pre- and final cleaning tasks. 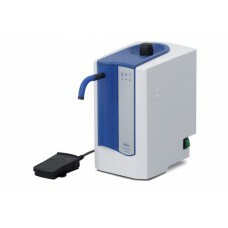 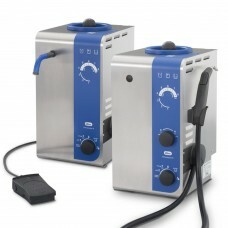 With the selectable pressure modes „soft“ und „strong“,the individual regulation of moisture in the steam..
Elma Steam 8 Med Certain instruments, such as burrs, drills and electro-surgical instruments, often do not become sufficiently clean in the standard washing and disinfecting unit.The Elma steam 8 med steam jet cleaner is the ideal tool to precleansuch instruments and smoothly remove..